Plumbing or water line leakage is not something that property owners should take lightly. The leaks usually start out as a slim streak of water coming out of a hidden pipe, and takes time to reach the surface and become visible. Even then, they either go unnoticed or are dismissed as a minor issue. 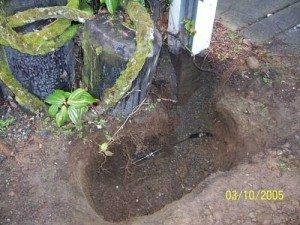 Call Clearwater Leak Detection to your DuPont, WA property if you want the water leakages there detected and treated before it is too late. We are a family-owned and operated company that is 100% bonded and fully certified to carry out water leak detection in homes and commercial properties in DuPont. 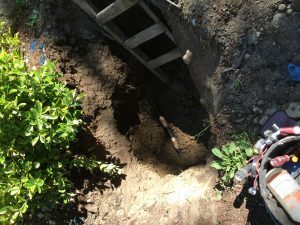 What are the Signs of a Water Leak in DuPont Homes? Detection of water leaks is not a do-it-yourself job. The average homeowner has no clue as to how to find a water leak and also lack the sophisticated equipment required to locate leakages in pipes that lie hidden underground or within walls. A sudden spike in water bills, strange damp spots on the floor or yard, and low water pressure are all signs that it is time to call us. Our company was founded in 2007 by a professional with vast experience in managing entire municipal water systems. The technicians we employ come with rigorous training in detecting plumbing and water line leaks. There is hardly anyone who can match our water leak detection skills. We can be trusted to trace water leaks to their precise source, regardless of how deep the leakage runs into the piping system or how hard it is to access the place the leaky pipe is installed in. Look no further than Clearwater Leak Detection when you need water leak detection services in DuPont. Call 206-686-9300.